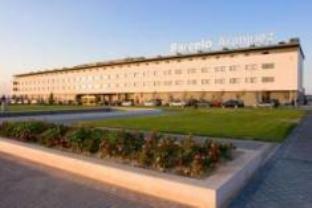 ﻿ Book Hotel Aranjuez (San Jose) - 2019 PRICES FROM $66! Hotel Aranjuez is an eco-friendly bed and breakfast hotel, hosted in five wooden houses built in the 30’s. Hotel Aranjuez will offer you “an authentic Costa Rican lodging experience” in an urban oasis surrounded by tropical gardens. Each room features an authentic decor and is equipped with a 32 flat screen TV, hot water, safety-deposit box and a desk. At Hotel Aranjuez you'll find a 24-hours front desk, tour desk, luggage storage, laundry facilities and free parking. Main attractions as National and Jade Museum are located at 0.4 mi from the Hotel. The Atlantic Railway Station, the Congress, the National Library and the National Park at 0.5 kms. The Paseo Gastronomico La Luz (wich includes more than 20 restaurants, bars and coffee places) is located at 0.7 kms. Juan Santamaría International Airport is 9.9 mi away. This is a very pleasant hotel with great staff. The streets around are bleak and slightly offputting at first, but I never felt threatened. Fabulous breakfast, pity there's no evening meal or snacks/ drinks, although there is free coffee. When I went to my room, it hadn't been cleaned from the previous people and I had to find the maids to come and clean it. Other than that, the guys were awesome at front desk, very helpful with directions, organising taxis etc. The Buffett breakfast in the morning was delicious!!! Nice clean hotel. Place is about 15 mins from the main bit of town. Staff are kind and will arrange cabs etc. Hotel is good value for Costa Rica and feels personal with lots of open space. Breakfasts are amazing and not to be missed. Muy buena atención en la recepción y en las demas áreas del hotel, solo fue poco amable la persona que estaba encargado de hacer los huevos en el desyuno. Pero en general un hoyel muy recomendable, sin duda volveríamos. Mehrere Häuser miteinander verbunden, Lichthöfe und Gärten mit tropischen Pflanzen und Ecken zum Lesen und Entspannen. Die Lobeshymnen auf das Frühstücksbuffett sind nicht übertrieben. Liegt sehr ruhig und auch im Haus herrscht eine ruhige, sehr entspannte Atmosphäre.